THE Judicial Service Commission (JSC) will this year set up a commercial division of the High Court to settle commercial disputes, Deputy Chief Justice Elizabeth Gwaunza has said. Officially opening the 2019 legal year at the Bulawayo High Court yesterday, DCJ Gwaunza said the establishment of a commercial division involves the development of its rules, renovation and customisation of stand-alone buildings in all four stations in Bulawayo, Harare, Masvingo and Mutare. "We look forward to the physical establishment of the commercial division of the High Court during the course of the 2019 legal year. This will involve the development of the division's rules, renovations and customisation of stand-alone buildings and it also involves the finalisation of the procurement of the software for the installation of an integrated electronic case management system," she said. DCJ Gwaunza said all processes of the commercial division of the High Court would be managed electronically. She said the JSC was also working towards separating the Constitutional Court and Supreme Court by May 2020 in line with the country's Constitution. "There must be a complete separation of the Constitutional Court and the Supreme Court by May 2020 in accordance with our Constitution," said DCJ Gwaunza. She said in pursuit of justice, the Chief Justice Luke Malaba instructed the acting Secretary of the JSC Mr Walter Chikwana to visit all provinces in the country to carry out an assessment of the state of courts and offices. "During those visits it was realised that the geographical size of Matabeleland North province created administrative headaches for the JSC where the provincial capital, Bulawayo, was 400km away from some of the stations under its purview," she said. DCJ Gwaunza said the JSC, in an endeavour to improve court administration and be in sync with the Government thrust on devolution, approved the separation of Bulawayo Metropolitan province from Matabeleland North. "The legal formalities to create these two provinces should be completed in due course," she said. DCJ Gwaunza expressed concern over illegal activities happening around Tredgold Building in Bulawayo, saying there was a need for authorities to consider the exclusive use of the building by the judiciary. DCJ Gwaunza commended judges at the Bulawayo High Court for clearing a backlog of cases. 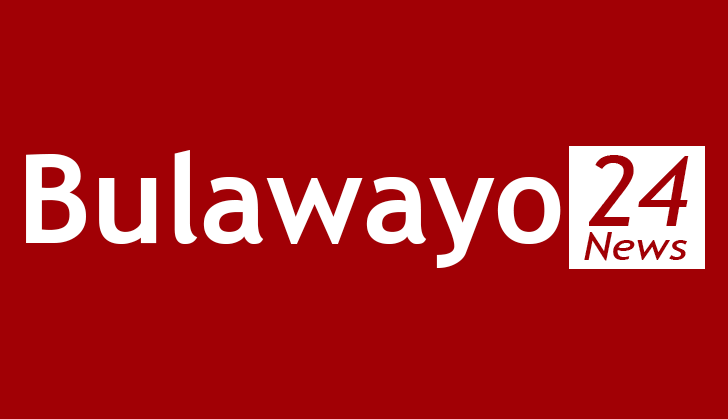 "Bulawayo High Court received a consolidated total of 4 785 cases in 2018 and completed a total of 4 971, thus eating into the backlog carried forward from 2017. This was despite the fact that the Bulawayo High Court bench dwindled from six to four judges. I must congratulate the judges under the leadership of senior judge Justice Martin Makonese coupled with the co-operation of the legal profession and the staff for reducing the backlog against such odds," she said. The number of judges operating at the Bulawayo High Court went down following the redeployment of Justice Nicholas Mathonsi to Harare, the retirement of Justice Lawrence Kamocha and the elevation of Justice Francis Bere to the Supreme Court. In 2018, the Labour Court in Bulawayo received 624 cases in addition to matter carried over from 2017 and 790 cases were completed. Justice Gwaunza said the JSC had introduced an electronic case management system which will assist in management, monitoring and tracking of all cases as they are filed in various registries. "The system will enable us to identify the causes of delays in justice delivery and thus promptly intervene and remedy the problem. We also hope that the system will help eliminate any corruption that may be in the system," she said. DCJ Gwaunza said JSC managed to open regional courts in Beitbridge and Plumtree to ensure efficient justice delivery. In the past, the regional courts used to operate on circuit in the two border towns. She said last year, the JSC undertook to review the rules of various courts which were last reviewed in 1980 and these include the new Magistrates' Courts Rules, which will become operational on February 1. The High Court Rules, which have undergone extensive debate by relevant stakeholders, will be submitted to the Attorney-General's Office for consideration during the first half of 2019. DCJ Gwaunza also took the opportunity to express her condolences to the family of the late Bulawayo High Court assessor, Mr Boyathi Ngwenya, who succumbed to diabetes on New Year's Day. She also congratulated Justice Martin Makonese on his appointment as the senior judge following the elevation of Justice Bere.